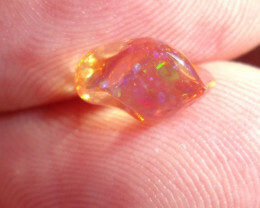 DESCRIPTION: FreeForm carved Fire Mexican Opal 10.13 Carats. 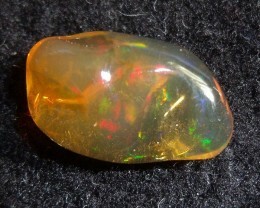 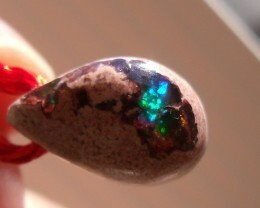 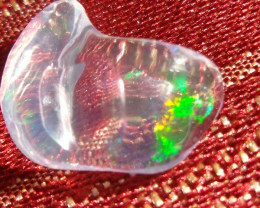 This stone will display nice internal rainbow colored fire when viewed with strong direct transmitted lighting, lightly visible in direct reflected lighting, but best viewed with light source entering stone from behind, such as from a ray of sunlight or even by holding stone up to an ordinary lamp light and moving stone back and forth. . 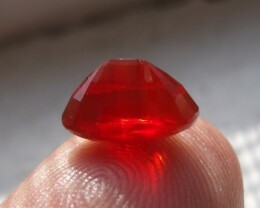 Custom cut about 4 years ago from rough well seasoned and so very stable, stone approx. 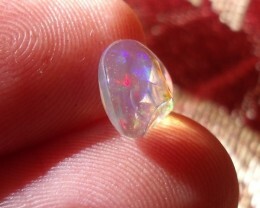 15 x 13 mm. 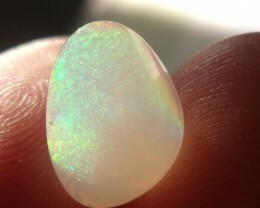 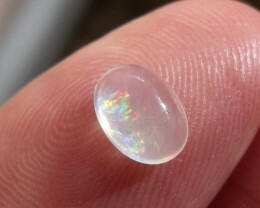 Valuable opal variety.